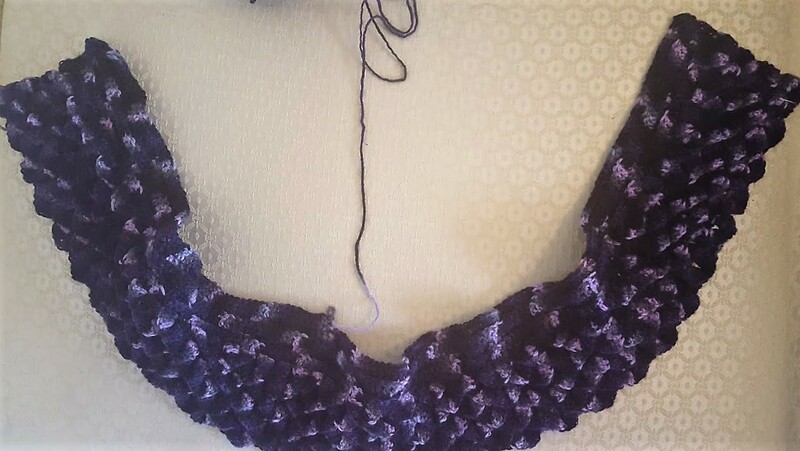 I’m still plugging away at my Dragon Scale Cape. I haven’t been feeling all that great over the last week so I didn’t end up working much on it before the weekend hit. But for a little comparison here is the photo from last week followed by the current state of the cape. 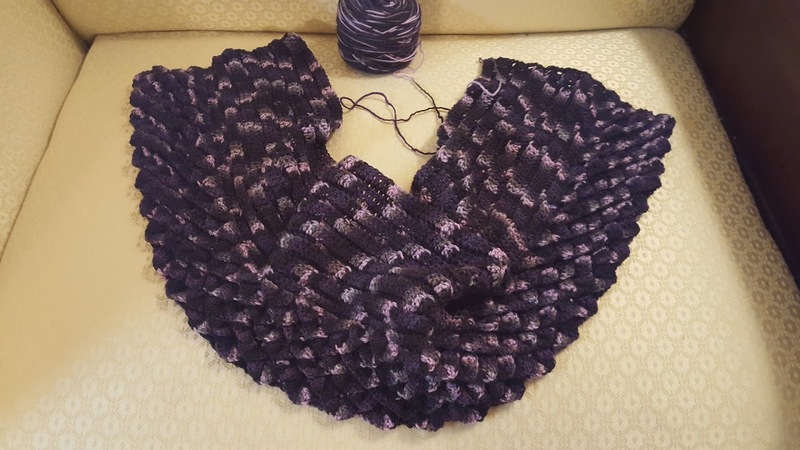 I added about a full skein which contains approximately 200 yards. And I believe I have three more skeins to add to the length and then another skein and a half to do the trim.